jeff, 18 Jul 2008i have had the ASUS P320 for a week now..an excellent phone. Just a question. After installing... moreUnfortunately, some programs (like Skype) install some huge files in the Program Storage, even if you choose the MicroSD card as the destination. And there is no way to increase the Phone Memory. Also, if you're using IE, then your Cache files are also all being stored on your phone memory. Using the Registry hack to move the destination to your MicroSD. How did you get it for just 9K? I have been checking the listings for about a week, and the lowest is about 11K. All the rest are around 12.5K. 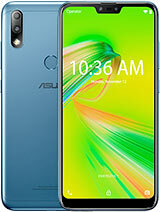 i have had the ASUS P320 for a week now..an excellent phone. Just a question. 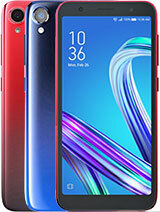 After installing just a couple of programs (onto the MicroSD card), i noticed that the phone built-in memory has also gone down..is there anything i can do to increase the phone memory or at least to not reduce it further..? Excellent value for money. Though it occassionally hangs up, but that is not a major problem. Excellent design and best touch sensitive screen with full touch button control similar to iPhone. The memory is good, but could have been better. If you are looking for a value for money, state of art phone, this is the one to buy. 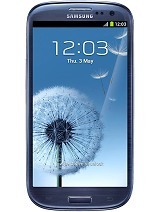 Don't compare it with HTC Diamond or Touch Pro, which are high end phones. But if you consider something around Rs12,000/- it is better to go for this, than Symbian OS systems, which are primitive technologically. You can install freeware keyboards, like: http://www.cootek.com/ (the older versions are free). I tried it on a Windows Mobile Emulator on the PC; if I was you I wouldn't worry about the text input. Here is a list of more keyboard apps: http://www.freewarepocketpc.net/ppc-tag-keyboard­.html . I can't wait for the P320 to be launched in my country, I will definetly buy it. Anand, 17 Jul 2008Dear All, I installed Google Navigator software. And using wifi took bangalore maps. So no ... moreHi guys! As Anand has mentioned, i hope we dont have to buy maps for Bangalore. I'll certainly post my reviews here! is it easy to write messages on touch screen? can i get used to it? This is a Complete Value for Money device. The software is pretty fast. Phone is light weight and easy to use. It is better than O2 Stealth. Moreover it can be used in US as well as in Canada being a MultiClass handset unlike HTC. It has Bluetooth V2.0 unlike O2 v1.2. Sound clarity and battery life is also good in its class. I installed Google Navigator software. And using wifi took bangalore maps. So no need of GPRS to get maps on the fly. mine is black. does anyone buy the pink one? addy, 15 Jul 2008Hi Friends, I have just bought an Asus P320 in India. The phone has a GPS receiver, but it do... moreAddy, If you have enabled GPRS on your phone, then the easiest way for you to experience GPS would be to download a free Mapping software like Google Maps or Nav4All. If you are located in India, you could also download a 5-day trial version of the iNav Connect Navigation software from MapMyIndia. The need for GPRS arises because none of these software come with any maps, and they download them on the fly based on your current location. As for GPS Catcher, it uses the Net to download the current GPS Satellite locations and other data. This data expires in 3 days, and then you'll need to refresh it. If you plan to use the GPS a lot, you can setup GPS Catcher to update the data automatically. Anonymous, 15 Jul 2008Hi all I bough t asus P320 recently. I am quiet used to Windows Mobile interface, but this GP... moreIf you have enabled GPRS on your phone, then the easiest way for you to experience GPS would be to download a free Mapping software like Google Maps or Nav4All. If you are located in India, you could also download a 5-day trial version of the iNav Connect Navigation software from MapMyIndia. The need for GPRS arises because none of these software come with any maps, and they download them on the fly based on your current location. I bough t asus P320 recently. I am quiet used to Windows Mobile interface, but this GPS is a new thing for me. Plz guide me how to use GPS in my phone. My phone does not have any navigation software or maps installed in it. Plz explain how can i use GPS for navigation. 10) External GPS navigation unit connector. 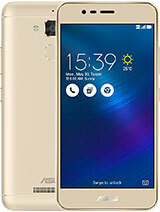 I have just bought an Asus P320 in India. The phone has a GPS receiver, but it does not come with nay maps or GPS navigation software. Although i am quite familiar with the Windowa Mobile interface because of my prior experience of using O2 stealth. I dont have any clue about how to use GPS on the phone, and what all is required for it. Please tell me how to use the GPS on my phone, along with the software i would require for it to work. Currently the phone's GPS catcher is asking me to update GPS through the net, and it says that the GPS update has expired. Plz help and explain how to proceed. Thank you. Vikram, 14 Jul 2008I am quite keen on the phone, one thing that has put me off a bit is the non availability of a... moreVikram, You could always buy a 3.5mm to 2.5mm adapter/converter if you want to use a standard headphone set. Plus, there is always the option of using Bluetooth for listening to music if you have Bluetooth capable headphones. As for the performance, I wouldn't call it sluggish. But, you are right about the low amount of RAM - as a result, it is best to close all other apps if you are using any of heavy apps like GPS. I am quite keen on the phone, one thing that has put me off a bit is the non availability of a 3.5 mm audio jack. So you basically stuck with the headphones you get. and is the p320's camera button similar to that of p527 (auto focus on half press and image capture on full press)? The price of the hp 512 is about 9000 INR, so that brings the price ratio to 3:4. The other thing is that ipaq has just a numeric keypad, but p320 has a touch screen. Now, i've decided to take a decision based on your advice. ps. : what all did the package u bought include? extra batteries? memory card? where? and for how much? Rusydi Umar, 13 Jul 2008Is it available in Hyderabad? If it is, where can i find it? Does P320 come with fm radio? bec... moreRusydi, Both P320 and P527 are excellent models. I own the P527, and used a friend's P320 for about a week. I paid 15K for my P527 (in India), and someone reported in a recent post that the P320 is now available for as low as 11.5K. 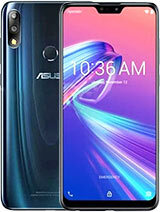 - The P320 comes with WM6.1 while the P527 comes only with WM6 - this is a minor point, since you could manually upgrade the latter to a WM6.1 ROM, and ASUS is also expected to release an official upgrade soon. 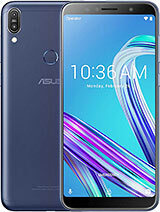 The P320 also includes a few additional softwares like the new ASUS Home Screen, Ur Time and MS Office OneNote Mobile, which may or may not be available in the ASUS official upgrade. 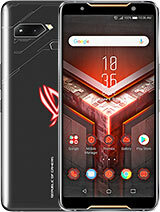 - Even though both phones include the same internal GPS chipset, the P527 comes with a full-feature navigation software on a free 1GB MicroSD Card - the P320 lacks this, and you will have to obtain it separately. - The P320 doesn't have an FM Radio (there is one in the P527, but I haven't had a chance to use it yet, so don't know if it is any good).